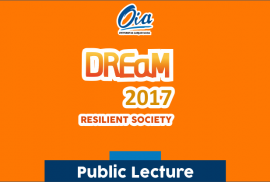 Public Lecture: DREaM 2017 "Resilient Society"
Tempat : Ruang Multimedia, Gedung Pusat UGM, Lantai 3, Sayap Selatan. 2017 is a monumental year for ASEAN and Korea. Since its foundation in 1967, ASEAN has reached a golden milestone, celebrating its 50th anniversary. This year is also highlighted by the 10th anniversary of the ASEAN-Korea FTA, and the ASEAN-ROK Cultural Exchange Year, with inauguration of the ASEAN Culture House in Busan which is the first of its kind outside ASEAN region. Amid the development in the ASEAN-Korea relations, the international community is witnessing rapid changes. There are growing uncertainties in the international relations such as Brexit and America’s withdrawals from multilateral agreements. Technological advancement has reached another level and now, digital economy has become reality for many countries including ASEAN and Korea. 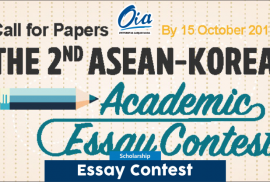 On such a significant juncture, the ASEAN-Korea Centre, and inter-governmental organization mandated to promote economic and socio-cultural cooperation between ASEAN and Korea, is hosting the 2nd ASEAN-Korea Academic Essay Contest inviting students of ASEAN and Korea to share their perspectives and knowledge on ASEAN and ASEAN-Korea relations. The young perspectives of the youth of ASEAN and Korea will contribute toward building a true, genuine and lasting partnership. 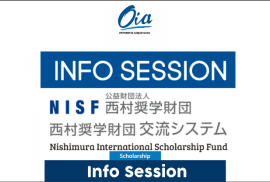 Kantor Urusan Internasional UGM mengundang seluruh civitas akademika Universitas Gadjah Mada, untuk menghadiri Info Session: Nishimura International Scholarship Fund yang akan membahas tentang kesempatan studi maupun tawaran beasiswa di Jepang yang akan disampaikan oleh perwakilan dari Nishimura International Scholarship Fund . 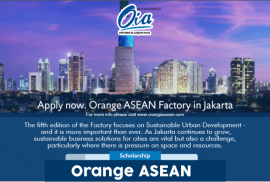 Orange ASEAN is an initiative of the Embassy of The Netherlands in Southeast Asia. 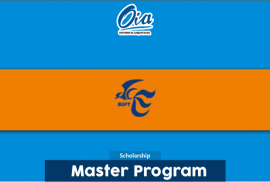 The program aims to engage the markets of the future with Dutch innovators. Linking Dutch sustainable companies, eco-designers and social entrepreneurs to their ASEAN counterparts, working together towards enhancing sustainable trade while creating social and environmental value in ASEAN. 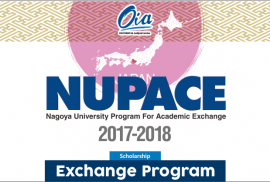 The program also gives the opportunity to work for three weeks (without extra costs), in international teams, together on finding solutions for real sustainability challenges. Telecommunications, China! 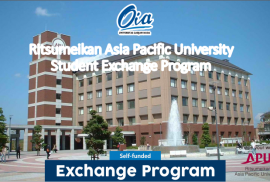 School of Information and Communication Engineering (SICE) in Beijing University of posts and Telecommunications (BUPT), is seeking highly motivated international students with supports of scholarship (Forbidden City Scholarship).